Washington Post, Oct. 9, 2014: Imagery from satellite (and astronauts) illustrates what a powerful storm Super Typhoon Vongfong became this week… with gale-force winds covering around 340,000 square miles — about 70,000 square miles larger than the state of Texas… Super Typhoon Vongfong’s eye was estimated to be around 50 miles wide. 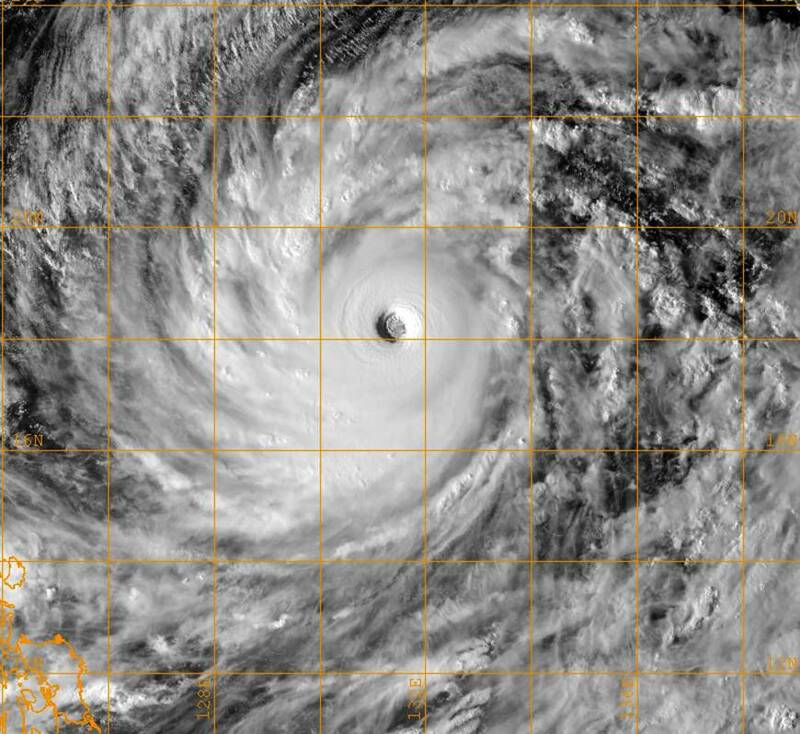 Astronaut Reid Wiseman, Oct. 9, 2014: #SuperTyphoon #Vongfang – I’ve seen many from here, but none like this. NBC News, Oct. 9, 2014: “It’s safe to say Vongfong is the strongest storm on earth since Haiyan last year,” said [Weather Channel's] Michael Lowry… Navy’s Joint Typhoon Warning Center said Thursday morning… ocean waves were already as high as 50 feet.